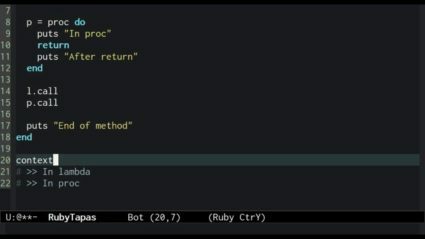 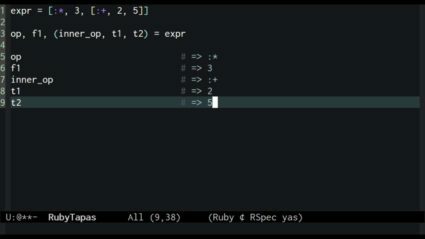 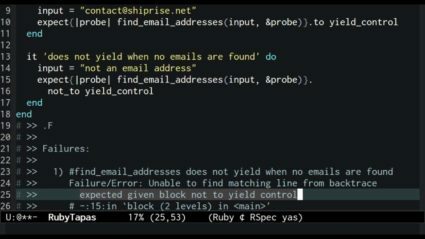 Ruby blocks, fundamentally, are a syntactical expression of a very common idiom: a method, one of whose parameters is a block of code used to pass in behavior. 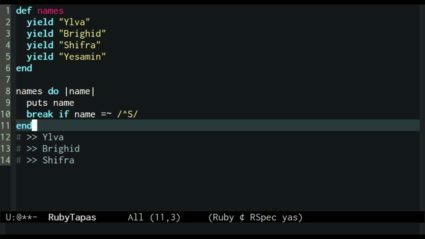 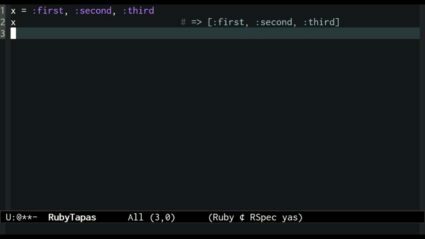 In this episode we finally discover why the Timeout module is unsafe, and a facility new in Ruby 2.0 that makes dealing with thread interruptions much less error-prone. 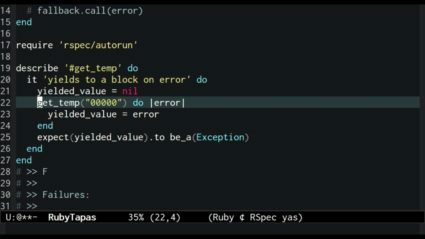 Today's episode answers the question: how do you test that a block passed to a method is executed as intended? 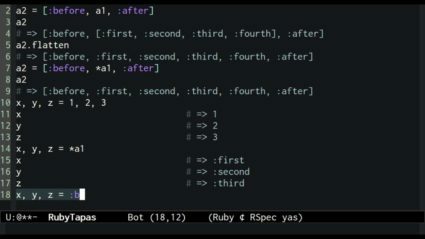 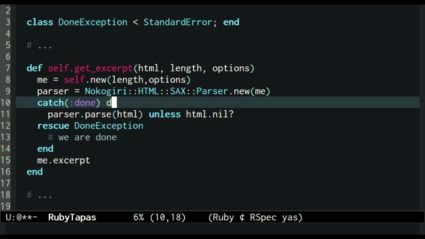 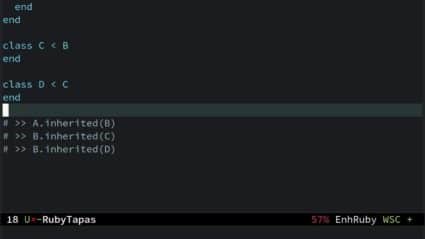 A refactoring episode, showing how to replace exceptions-as-flow-control with the "catch" and "throw" methods. 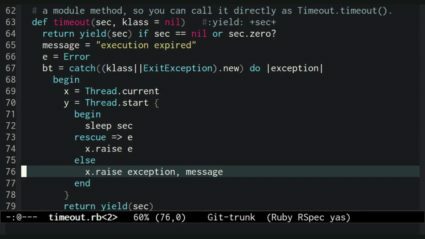 In this, the first of two episodes on the 'break' keyword, we look at how it can be applied beyond breaking out of loops.